Star Wars has always been for everyone, but we’ve all seen marketing efforts—and some of the franchise’s other choices—aim things squarely at young boys. 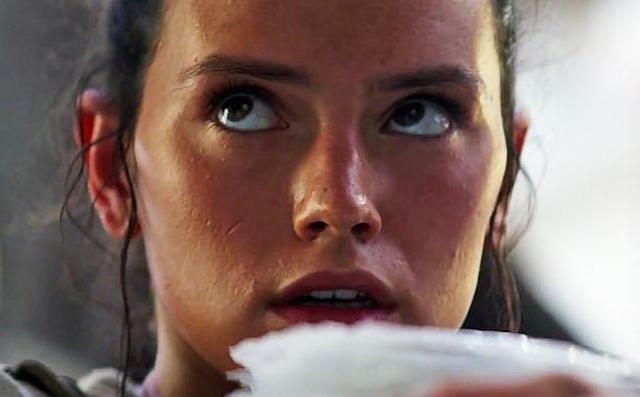 If it wasn’t apparent from J.J. Abrams (seemingly, so far) making a woman the main character of The Force Awakens, he wants Episode VII to appeal to girls and women, too—for the benefit of everyone. Star Wars was always a boys thing and a movie that dads could take their sons to, and though that’s still very much the case, I was really hoping that this would be a movie that mothers could take their daughters to as well. I’m looking forward to kids seeing this movie and seeing themselves in it and seeing that they’re capable of doing things that they could never imagine possible. Of course, I’ve already seen people complaining about Abrams’ “SJW motives” in relation to this quote, but who does it hurt to consciously try to make such a fun property feel more accessible to girls? Additionally, Abrams casting a Black actor for another of the film’s central characters, John Boyega’s Finn—not to mention Oscar Isaac playing a noteworthy role so far—takes that a step farther. Humanity’s adventures in space are not just for both boys and girls, but also for all people. What I hope is that they see a movie that tells them that life is full of unlimited possibility. That there’s an incredible sense of, to use a George Lucas term, hope in the world. And that they feel better when they leave than when they got in there. That can only be amplified as more kids more easily see themselves on-screen.